“A Wave of Hope”: was the title of proceedings of the third large-scale event held by Together for Europe – a pan-European event with a central point in Brussels. More than a thousand participants from all over Europe gathered in the Gold Hall: public figures from political, cultural and ecclesial walks of life, representatives of Christian Movements and Communities. Many others expressed their support through their messages or Patronage of the event. A unique characteristic was the extensive network linking 152 simultaneous events in 22 European countries with the main event held in Brussels. Through these small and large-scale events, new collaborations between the 300 Movements and Communities present aimed at benefiting the local areas sprang into existence while existing collaborations were stepped up. Some of these collaborations of the last few years consisted in initiatives themed around the “The 7 Yeses” launched in Stuttgart in 2007, for example a variety of projects focused on equal and respectful integration of different peoples were carried out at different levels. 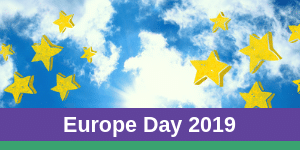 Initiatives of the 12th May which brought people of all ages and persuasions together include: creating a human chain around an island perimeter, hot air balloon spectacles, European flag displays, concerts, round tables, parades and rallies on European streets and squares. In a number of cities children from various Movements supported the initiative through a parallel event involving great commitment and creativity entitled ‘Run4Unity’. Young people also took part in the central event in Brussels through songs, testimonials and an initiative called “Face2faith in Europe”. The event concluded with a message of hope, unity and peace addressed by thousands of people throughout Europe linked together by satellite connection with Brussels.